This is 1st part of my web comic about my time in Web developer school. 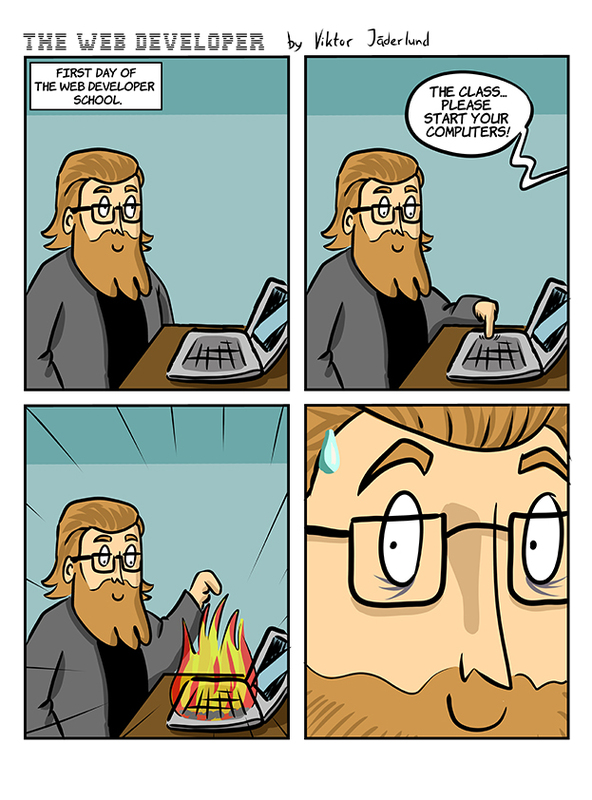 The comic’s name is of course ”The Web Developer”. I will update the comic every wednesday every week.